Stunning describes this 3 Bedroom, 2.5 bath home that is very spacious and large rooms. 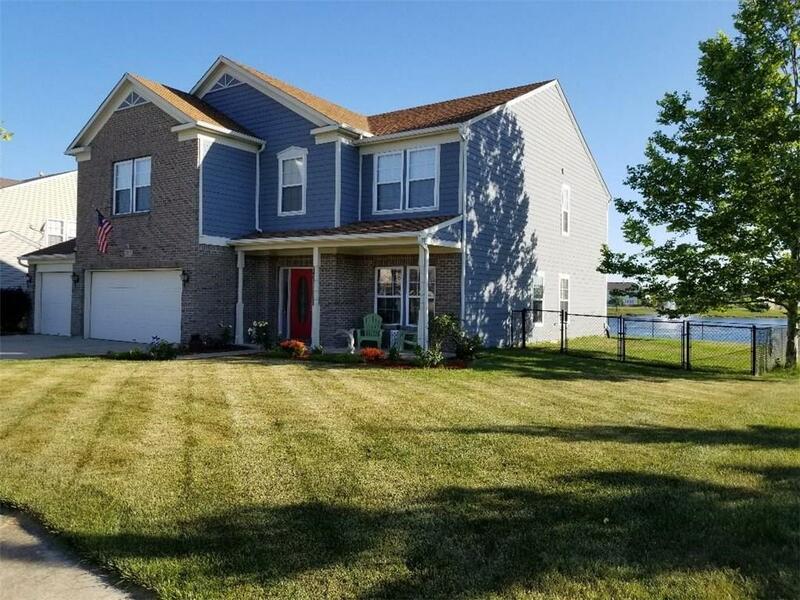 For only a 25 minute drive to downtown Indy, this spectacular home features a pergola overlooking a pond with 2 fountains. The kitchen has a Thermador gas range, huge island and granite countertops and has a huge pantry. On the Greenway trail in Franklin and the Heritage Subdivision; features a large clubhouse, pool, tennis and basketball courts, volleyball and 2 parks. Master Bedroom has a large sitting area that can also be used as a workout area. The upstairs bonus is 26x14 and has unbelievable views of the pond and features a walk in closet and can easily be made into a 4th bedroom. Across the street from Legends Golf Course! New fence and roof!